We offer the latest technology in digital hearing instruments, capable of being programmed to meet most any hearing loss, and provide hearing improvements far beyond the capabilities of hearing aids of just a couple years ago. We have a licensed staff capable of evaluating your hearing needs and developing a plan for improving your hearing. We want to let you hear the sounds of life that mean the most to you and your family. 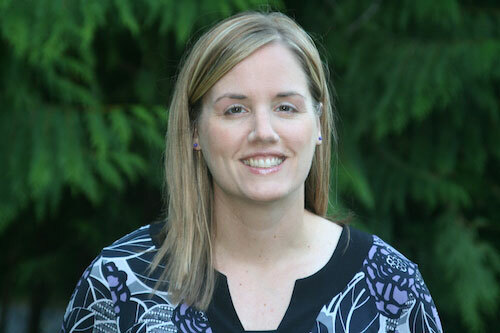 Jennifer Bennett is a licensed, Board Certified, Hearing Aid Specialist. She was raised in Maple Valley and graduated from Tahoma Senior High School in 1991. She and her husband, Mike, raise their four children here in Maple Valley. After earning her Bachelor of Arts in Psychology from the University of Washington in 1998 she returned to school to earn her Associates of Applied Sciences in Hearing Instrument Sciences from Spokane Falls. She is committed to providing excellent customer service and finding appropriate hearing solutions for each individual person. She believes strongly in continuous education and participates frequently in product and clinical training events. She is a member of the Washington Hearing Society and the International Hearing Society. She is Board Certified in Hearing Instrument Sciences. She believes our patients deserve the highest quality of care, personal service, and value for the time and money they invest into their communication needs. She joined the family practice in 2011. Our partnership between vision and hearing allows us to offer lower prices on hearing aids because of our shared overhead. Come in and see us for a hearing test and a trial with one of today’s advanced computerized hearing instruments.